Saint Joseph’s/Candler (SJ/C) Hospital has a history of providing innovative and effective care to the residents of Savannah, Georgia, since the mid-1800s. 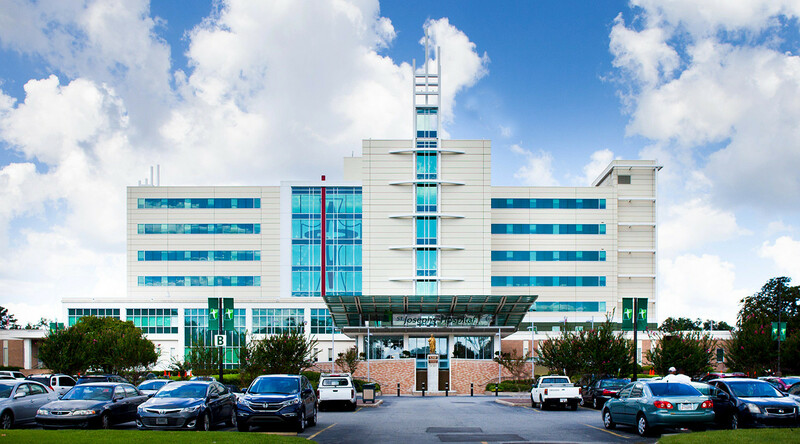 Operating as one entity since 1997, Saint Joseph’s and Candler are two of the longest-operating hospitals in the United States. For the patients inside to receive proper care, the building housing the hospital needed to receive some treatment as well. 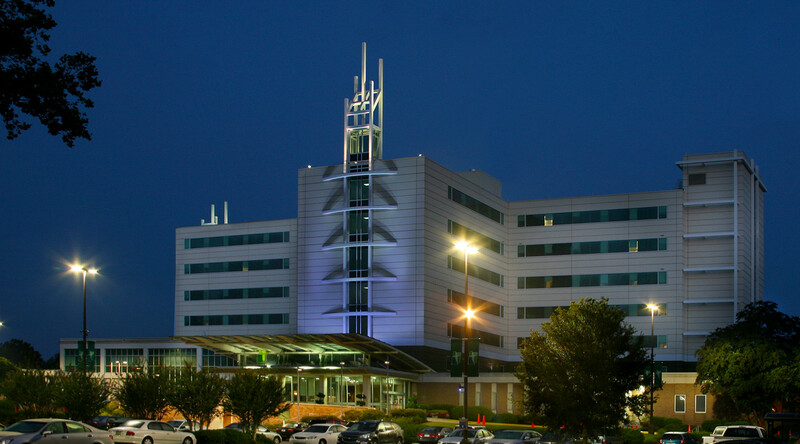 So in 2012, the hospital sought the help of design firm FreemanWhite to help rehabilitate the hospital’s exterior. Something needed to be done to provide the exterior of the building with an envelope that eliminated water intrusion, and provided wind resistance and thermal efficiency. In addition, the upgrade also had to be handled in way that would allow the hospital to continue serving its role in the community without missing a beat, so the envelope needed to be installed without interrupting the operations within the facility. To fulfill these performance and construction requirements, the design team turned to CENTRIA’s Formawall Dimension Series insulated metal panels as the material of choice for the hospital’s upgraded exterior. 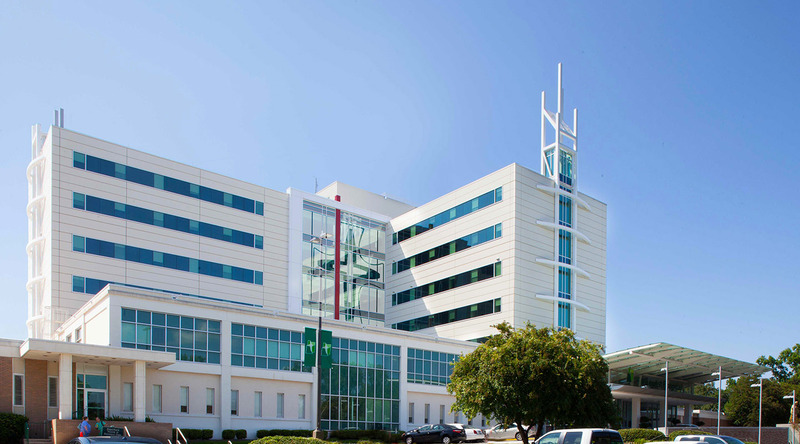 In addition to providing the performance the building needed without adding a great deal of weight to tax the structure, installing a metal panel system enabled construction to take place around the hospital’s operation with minimal disruption due to close collaboration with the hospital and contractor. Together, they developed a process to confirm the specific vertical and horizontal dimensions of the windows and match that with the new system. CENTRIA’s Formawall insulated metal panel system and integrated Formavue windows helped make this installation approach work. The new skin seamlessly integrated with the new windows, and the existing ones were removed from the inside as patient rooms could be made available The metal panel system provided flexibility in design and could meet tolerances to fit the existing dimensions of the building. Early in the process, FreemanWhite chose CENTRIA to provide the metal skin for the hospital. The manufacturer was an integral member of the team throughout the project. The success of the SJ/C project comes in large part from the high level of collaboration between all the parties involved. The architect, contractor, dealer/installer and metal exterior system manufacturer were at the table together early, and the owner played an involved role as well. The hospital upgrade was completed in May 2014, and the hospital never missed a step along the way.